Living in Colorado Springs, a.k.a. “The Pothole Center of the Universe,” I’m particularly sensitive to the disconcerting disrepair of America’s roads, bridges and highways. While these transportation arteries are highly visible—as would be a jobs program aimed at improving them—we should remember, however, that there is much more to infrastructure than asphalt and concrete. Space infrastructure today provides much of the backbone for modern life, and it, too, is in need of attention and reinvestment. All of us who are part of the space “choir” already know that much of modern life depends upon space systems, especially satellites, and space technologies, which tend to become embedded in other industries. The importance of space systems is pretty easy to explain, even to politicians. Without GPS satellites, for example, the navigation system in your car won’t work and all the hauling, trucking and delivery systems go down; your ATM can’t access financial networks, banks can’t wire money back and forth, even the neighborhood gas pumps go down. There are more than three billion GPS-based apps running on smart phones, and your Yelp!, Foursquare, WhatsApp, Google Maps, Facebook, Yik Yak, and yes, even Tinder, all just become so many useless ones and zeros. Your mobile phones become useless because the cellular networks cannot talk to each other. And that’s just GPS. Weather satellites, commercial and military communication satellites, imaging and remote sensing satellites, tools and applications for emergency first responders -- all are part of a vast, interconnected space infrastructure that is aging, and threatened by the increasingly congested, contested, competitive space environment. So space infrastructure is essential infrastructure. Our transportation systems, banking systems, defense and security systems, voice and data networks, first responders, and much, much more, depend upon them. All the shiny new bridges in the world aren’t going to help you if you can’t navigate, communicate or pump gas! And, like the much more visible roads and potholes, space infrastructure is aging, and taking a beating. What is less well understood, and more difficult to explain in election-year sound bites, is the role that space technology plays in things like better bridges and highways. Concrete and steel sounds like pretty dumb tech, but it’s not. For example, one of the basic technologies now going into bridges and buildings is a shock-dampening technology developed by NASA; originally devised to protect launch facilities from the shocks and stresses created at launch, these systems now protect bridges and high rises from the effects of earthquakes. If you’re driving a newer stretch of highway and notice a pattern of grooves in the concrete, that is water-wicking and braking technology developed by NASA for the space shuttle landing strip at Kennedy Space Center. Gotta hit the brakes? Thank NASA again for anti-lock braking technology. Did an air bag just save your life? Thank the space program for the accelerometer that deployed those bags. The point is that none of these systems came out of the highway department. Research and invention doesn’t work that way. It is by pushing the boundaries of technology, which is what the space program does, that we create new technologies and, importantly, new technologists. This is how you not only improve your infrastructure, but also create entire new industries that create permanent, well-paying jobs. Not just transient job programs. The View From Here is that Space Infrastructure is Essential Infrastructure. Serious reinvestment in national and commercial ways and means in space must be a fundamental part of any plan to move the nation forward. 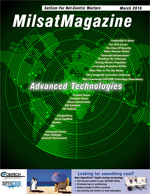 Our thanks to the Space Foundation and Mr. Pulham for giving MilsatMagazine permission to republish this Op-Ed from their Space Watch infosite. 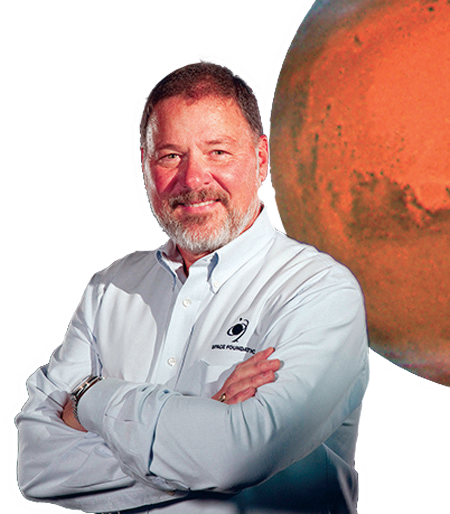 Named Chief Executive Officer of the Space Foundation in 2001, Elliot Pulham leads a premier team of space and education professionals providing services to educators and students, government officials, news media and the space industry around the world. He is widely quoted by national, international and trade media in coverage of space activities and space-related issues. Before joining the Space Foundation, he was senior manager of public relations, employee communication and advertising for all space programs of Boeing, serving as spokesperson at the Kennedy Space Center for the Magellan, Galileo and Ulysses interplanetary missions, among others. He is a recipient of the coveted Silver Anvil Award from the Public Relations Society of America - the profession’s highest honor. In 2003, the Rotary National Awards for Space Achievement Foundation presented him with the coveted Space Communicator Award, an honor he shares with the late legendary CBS News Anchor Walter Cronkite and former CNN News Anchor Miles O’Brien. Pulham is a former Air Force Civic Leader and advisor to the Chief of Staff and Secretary of the Air Force and a recipient of the U.S. Air Force Distinguished Public Service Medal. He serves on the editorial board of New Space Journal.